The roots of this band were sewn years ago at a middle school talent show where Davey and Mike teamed up to play Sunshine of Your Love. Since then, many members have come and gone but Davey and Mike never gave up on their quest to find the perfect line up. Early in 2009, they added Jesse to the mix and something clicked. 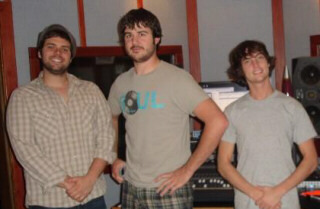 After running through a couple bass players, Andy Nathan joined the group and Gypsy Revival began developing a unique sound. Gypsy Revival's wide range of influences is sure to please many ears but don't take our word for it. Come check out the sounds for yourself.